Thanksgiving is a time to reflect on our blessings that we may be thankful for. This is one day year that gives extra special attention to our ability to be thankful and grateful. Take a moment to read an important article posted on Psychology Today written by psychologist, Robert L. Leahy. In this article, Robert Leahy discusses our ability to be thankful every day. In fact, many of us express thanks and gratitude on a regular basis and do not realize we are doing so. 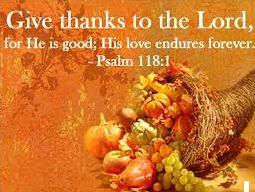 Giving thanks every day also enables you to find a positive aspect to each day. This can help combat negative, depressive thinking. Expressing a gratitude every day can also build a general sense of happiness and confidence. First, be more mindful! You may already be doing this and not realize it. Notice patterns of negative thought, are they overwhelming you? If so, attempt to challenge them and replace them with a positive. Start and end each day with a positive thought; particularly something good that happened that day. 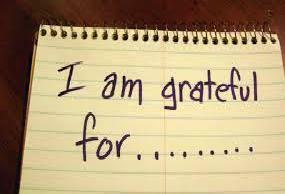 End each day with a gratitude; what are you grateful for today? Share your thanks with others, modeling for others can encourage them to do the same. So let your holiday kick-start a new season of “Thanks” and gratitude!